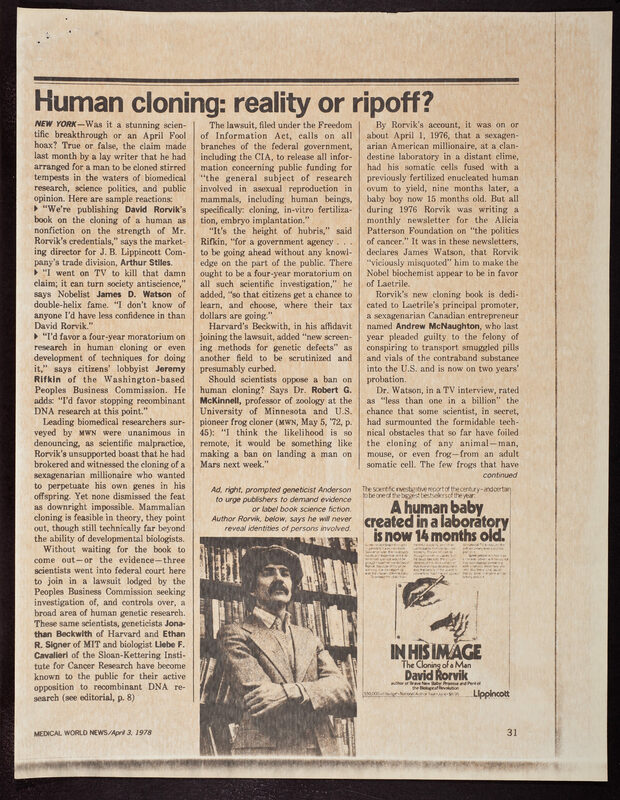 CSHL Archives Repository | Medical World News clipping: "Human cloning: reality or ripoff?" Medical World News clipping: "Human cloning: reality or ripoff?" Medical World News, “Medical World News clipping: "Human cloning: reality or ripoff? 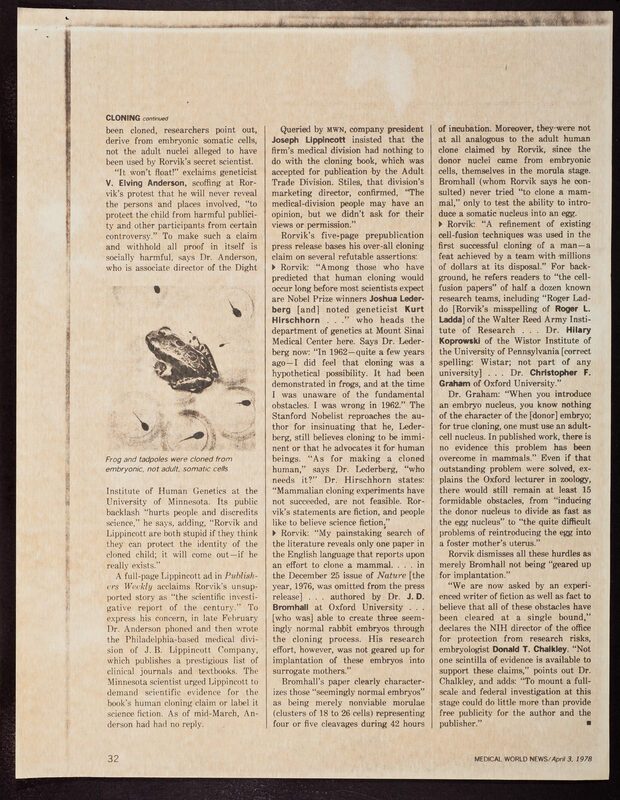 ",” CSHL Archives Repository, Reference JDW/2/2/1564/44, accessed April 19, 2019, http://libgallery.cshl.edu/items/show/85656.